You will be met on your arrival at Kilimanjaro Intentional Airport, and chauffeured to The Arusha Coffee Lodge. Your stay at The Arusha Coffee Lodge is on an all-inclusive basis (includes all meals, laundry service, transfers and drinks – excluding premium drinks). The Arusha Coffee Lodge is a haven for calming composure before or after your safari. Located in Arusha, at the foot of Mt. Meru, nestled among seemingly endless acres of emerald green coffee bushes, is the idyllic Arusha Coffee Lodge. Her farmhouse styled plantation houses welcome you to experience an unexpected class of style and service. Sip champagne as you reminisce about your adventures and the bygone eras of settlers, pioneers and explorers. Indulge yourself and unwind in the hearth and home styled comfort of the Arusha Coffee Lodge. After a leisurely breakfast and a briefing session on your safari, you will be driven to a Coffee Estate to enjoy the coffee tour and then an alfresco lunch in the garden at the Arusha Coffee Lodge. After lunch you will be chauffeured to Arusha Airport to board our Executive Grand Caravan and fly to Kuro Airstrip in Tarangire National Park. 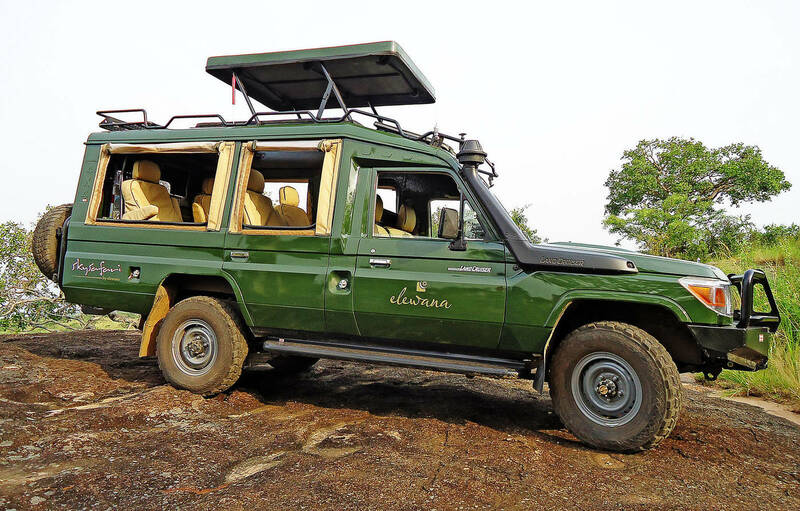 On arrival at the airstrip, the Tarangire Treetops team will meet you for an afternoon game drive in Tarangire National Park after which you will enter through Treetops’ private reserve. Your stay here is for 2 nights in a Tree House, and is on an all-inclusive basis (includes all meals, laundry service, transfers, game drives, scheduled activities, drinks – excluding premium drinks). 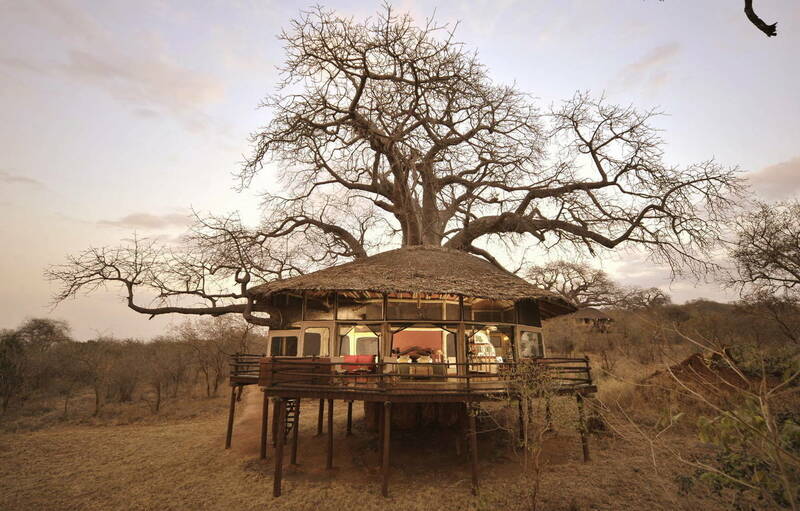 The Tarangire Treetops’ houses meander through the branches of thousand-year old trees. The nights are magical, as the winds seem to carry bedtime stories from the ancient branches of the mighty marula and baobabs, to calm your senses and cradle your slumber. Under these clear and sparkling African skies your dreams and fairy tales have been waiting for you! Nowhere, does fantasy come alive as it does here. Awaken to beautiful bird song, leave only your footprints, take only your memories, as you walk alongside the creatures of the African wilderness. After breakfast at Treetops you will enjoy a full day of activities including game drives, a visit to an authentic Masai village, a game-walk, sundowners in the bush and a night game drive. Lunch and dinner will be served at Treetops Tarangire National Park. Tarangire has a stunning baobab-studded landscape and is a bird watchers paradise, containing the highest number of breeding bird species of any habitat in the world. It is also home to thousands of resident elephants and huge herds of buffalo, a good place to see leopard and lion and a wide variety of plains game. Herds of up to 300 elephants scratch the dry river bed for underground streams, while migratory wildebeest, zebra, buffalo, impala, gazelle, hartebeest and eland crowd the shrinking lagoons. It’s the greatest concentration of wildlife outside the Serengeti ecosystem – a smorgasbord for predators – and the one place in Tanzania where dry-country antelope such as the stately fringe-eared oryx and peculiar long-necked gerenuk are regularly observed. 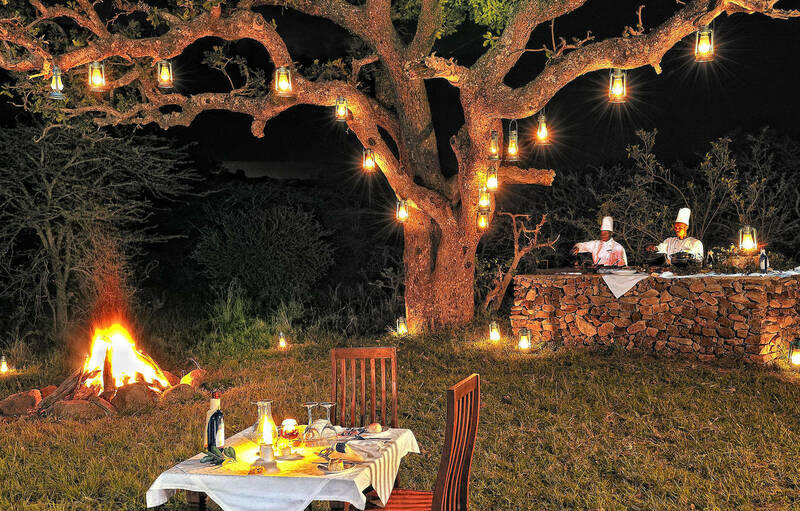 Dinner at Treetops is always a delight, whether it is in the Masai Manyatta under the stars with local Masai warriors to entertain or in the more sophisticated dhow-wood furnished restaurant overlooking the floodlit waterhole being overlooked in turn by giant baobab trees. After breakfast you will enjoy a morning game drive through Tarangire National Park. Stop at leisure for a picnic lunch on your way to Kuro Airstrip and connect to Manyara Airstrip. On arrival, our team from The Manor at Ngorongoro will meet you and transfer you to The Manor where you will arrive in time for high-tea. Here, your 2-night stay will be in a cottage on an all-inclusive basis (includes all meals, laundry service, transfers, game drives, scheduled activities, drinks – excluding premium drinks). The Manor at Ngorongoro, located on a huge coffee estate adjacent to the Ngorongoro Conservation area, enjoys magnificent views over the coffee bushes to far-flung African horizons. Designed to celebrate the Cape Dutch settlers influence in the region, its sparkling, white painted, ornate gables are set off perfectly amongst the mature indigenous and exotic trees. Enjoy the splendour of watching the sun go down from your private terrace before an evening of sophisticated up–country hospitality in the magnificent main house. After breakfast, a guide will drive you down the crater for a full day of exploration of the Ngorongoro Crater. A picnic hamper lunch will be served on the crater floor. After lunch, you will explore more of the crater before heading back to the Manor for the evening cocktails, dinner and overnight. The Ngorongoro Crater in Northern Tanzania, once a gigantic volcano, is the largest intact caldera in the world. Some maintain that before it erupted, it would have been higher than Mt Kilimanjaro, the highest peak in Africa. Today, long since having collapsed and eroded, it is an extensive highland area with the famous 600 m deep Ngorongoro Crater as its focal point. Nearly three million years old, the ancient caldera shelters one of the most beautiful wildlife havens on earth. Endangered black rhino are protected within its rim, giant tusked elephants wander the forests, black-manned lions stalk the grasslands, and flamingoes crowd the soda lakes. An estimated 25.000 large mammals are resident in this bowl of plenty, including a population of approximately 6 000 resident wildebeest, 16 highly endangered black rhino and around 70 lions. Cheetah move in and out of the Crater, while leopard are most often encountered in the spectacular Lerai Forest. Today, you have the option of visiting the Lake Manyara National Park or staying at the lodge to explore the estate. Choose from a host of activities including horseback riding, cycling, an estate tour or a massage treatment (1 treatment per person) or, you may opt to just relax. 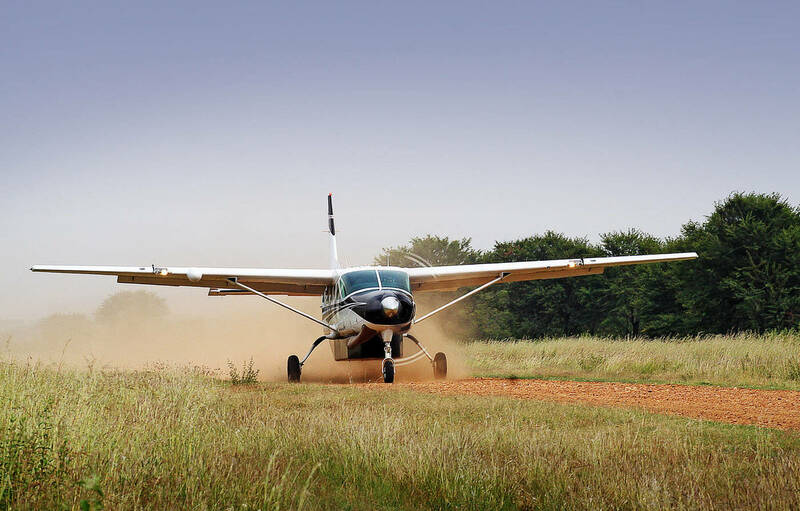 After lunch you will be driven to the Manyara airstrip for your onward flight to the Serengeti where upon arrival you will be met by the Camp team. The choice of accommodation in the Serengeti varies according to the migration. Enjoy a game drive en route to Serengeti Pioneer Camp which is located in south central Serengeti, with picnic lunches. You will be welcomed by the Serengeti Pioneer Camp crew. You will spend the next 2 nights at Serengeti Pioneer Camp where your stay is in a luxurious safari tent, on an all-inclusive basis (includes all meals, laundry service, transfers, game drives, scheduled activities, drinks – excluding premium drinks). Paying homage to the mobile camps of the 1930’s, a time when an African safari was truly a journey into the unknown, Serengeti Pioneer Camp’s ‘zero footprint’ and close proximity to nature combines to make an unmistakably distinctive and truly individual offering. Serengeti Pioneer Camp captures the original essence of the mobile African safari, engendering nostalgic wonderment whilst unlocking the adventurous spirit within all of us. The drama and beauty of the Serengeti National Park is indeed awe-inspiring. You will spend the next 2 nights at Serengeti Migration Camp where your stay is in a luxurious safari tent, on an all-inclusive basis (includes all meals, laundry service, transfers, game drives, scheduled activities, drinks – excluding premium drinks). Serengeti Migration camp is hidden in a beautiful place where the spirit of your origins is rekindled, a place where the breeze whispers in your ear, assuring you that life has meaning beyond the “everyday”. She is a spa for your soul and nourishment for life’s numbness. At Migration Camp, silence and peace are so enchanting, that they create a private symphony whose audience is your every sensation. Discover the pleasure of raw wilderness on a level never imagined. Enjoy morning game drives and return for lunch. You will enjoy a game drive en-route to Seronera airstrip departing 16:30 hours for your flight to Arusha Airport. Met on arrival at 17:20 hours and transferred to Arusha Coffee Lodge for freshening up before being chauffeured to Kilimanjaro International Airport for your departure flight.